San Francisco’s Anchor Brewing Co. is widely acknowledged to be the first modern-day craft brewery in the United States. 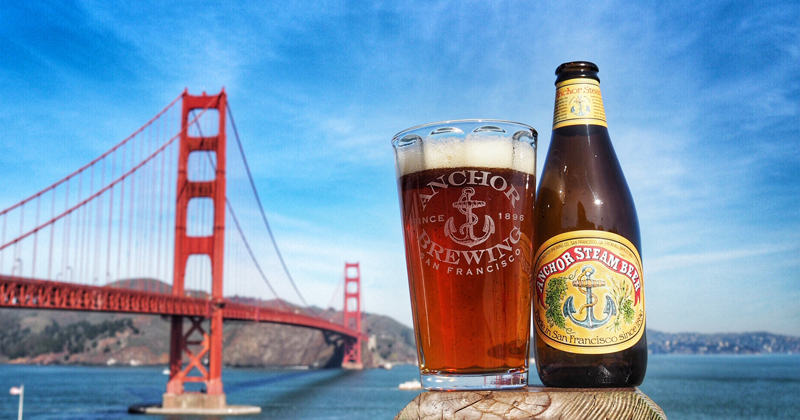 It is less appreciated that the company’s flagship beer, Anchor Steam Beer, is the first American craft beer in modern times. 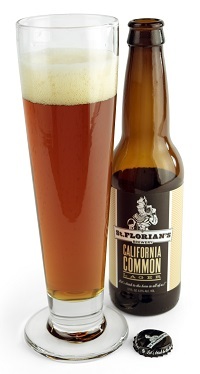 Because of its status as the last survivor of the steam beer style, which was once widespread in the American West, the beer appears to be a missing link between historic and craft beers. However, the circumstances of its reinvention in 1971 show it to be something far more important. 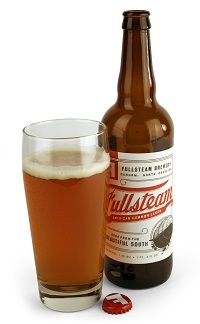 In its day, steam beer was a make-do beer. Before mechanical refrigeration, Western brewers lacked the winter-harvested ice abundant in the Northeast. Without cold fermenting and aging temperatures, their beloved lager yeast produced the fruitiness typical of top-fermenting beers. By the 1880s, when refrigeration machines began to be enthusiastically adopted by brewers, steam beer started its decline. Few made it into the 20th century. Anchor Steam Beer, against all odds, clung on. By 1965, when Fritz Maytag was in full control of the brewery, Anchor Steam Beer was in dire health, surviving on the support of customers who just couldn’t stand to see it vanish. Brewed on aging equipment, with copious amounts of sugar, caramel color and mere traces of hops, it was thin and uninspiring at best. And sometimes it was truly awful. “We were making a lot of accidental lambics in those days,” recalls Maytag. “We had the coolship up in the attic, the whole bit.” As Maytag began rebuilding the brewery, it became clear that its beer was overdue for a reimagining as well. Like many other young Americans, Maytag had encountered Old World beer culture when traveling in Europe. These travels were catalytic in the U.S. craft and homebrew movement, dramatizing the extent to which our own beer culture had vanished in the fog of industrialization. You’ve heard the story: fewer than 50 breweries, mostly all pumping out the same fizzy yellow adjunct beer, the smaller ones enduring fierce pummeling by the resource-rich national brewers. Unlike most other surviving historic breweries, Anchor had neither a storied brewing family heritage nor a large customer base to preserve. This allowed Maytag, right in the center of the most experimental city in America at the time, to determine his own unique vision for the company, and it definitely did not include a pale adjunct lager sold at discount prices. So in 1971, Maytag and his team, which by that time included Mark Carpenter, Anchor’s long-time brewmaster, set about to reinvent the beer from the ground up. Importantly, Maytag’s vision extended beyond a single beer. A deep and caramelly porter came in 1973, with two pioneering beers soon after: Liberty Ale (1975), a dry-hopped IPA with the spanking new hop variety, Cascade, and Old Foghorn Barleywine (1976), inspired by an exploratory trip to England. Maytag felt he was on the cusp of something big: not a single inventive brewery, but hundreds turning out bold, innovative and delicious beers. Although way out front, he knew his success depended on a larger movement and was gracious enough to assist startups like Jack McAuliffe’s New Albion and Ken Grossman’s Sierra Nevada Brewing Co. in the early days. We are all fortunate to have had a visionary and a gentleman leading the revolution. I would respectfully disagree with a number of statements or conclusions here. No question Maytag improved and developed Anchor’s steam beer. 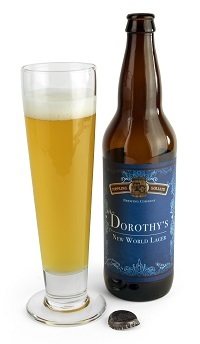 No question his brewery as a whole is a major influence on the craft beer revival. But he continued Anchor’s main product, steam beer, one which originated with the late 1800s origins of the brewery. He did not come up with a completely or even very different product, in my view. As far as I know, Lawrence Steese, last owner before Maytag, used caramel color in the steam beer only for an occasional dark version he produced. The same account calls most steam beer dark amber, and so the malts Maytag sourced – any brewer has to choose from what is currently available – were not as different in effect as may seem, in my view again. If Steese was still using atmospheric cooling of the wort, changing that to modern refrigerated cooling isn’t changing the beer, but merely ensuring greater stability, which any brewer anywhere always wants. There have to be many people still living, between 75-85, say, who remember what Steese’s steam beer at its best was. Someone should find them and ask if Maytag’s beer is very different, I’d suspect the answer is no. Northern Brewer is a hybrid hop, so was the Cluster grown on the West Coast… Steese warm-fermented with a lager yeast, so does Maytag and both to my knowledge always krausened for the draft. And so, while once again I take the overall point made in the story, I would regard the current steam beer as, in the main, a continuation of what was before, not as something new. Not really the steam beer would of had a sour tang .He has made a Great tasting beer but not as it was .Look into what there is on line ,has a wheat beer tang. It could be a little closer to what it was. It was his to bring a good beer to the market to stay in business .